I've been longing to get to this place for months! Eltsu is the place to be when you wanna improve on olympic lifts. Both Eltsu and Liikuntamylly are like heaven to me. It's difficult to describe the joy and happiness I feel when I get the chance to train at these places. 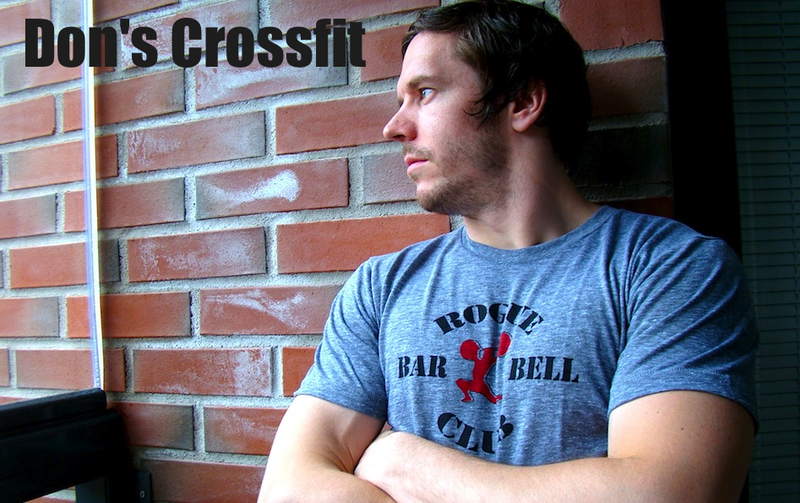 Today I followed competitor's wod training day from last Friday. Okay, those guys would nail benchmark workout Amanda after front squats. I would have liked to take a metcon afterwards but didn't have enough time. So I hit it in the evening in another session. Stage is set for success! Looks kind of easy. Just one rep per minute but hey c'mon, the weights were pretty heavy. It was prescribed as 1-3min @ 85%, then next 3min @ 90% and last 3min @ 95%. My max is at 102.5kg so those percentages turned to matching kilos in my case. After climbing it to 80kg I was ready to put the clock running and start jerking around. On the first rounds squat clean felt a bit stiff for some reason, then I realized I tried to catch the bar with a full hand instead of holding the bar with just the tip of my fingers as I usually do. Don't know what kind of a brain fart that was in the beginning. Then it started to feel more natural and I had no issues after that. Jerk was definitely heavy, can't deny that. But even though it was heavy, I was able to complete the reps as planned and with pretty much the same technique all the way. That's something that pleases me tremendously. Not having to break it with some twisted way. I'm not saying it's as smooth as I'd like but I'm very happy for having the lifts look the same, no matter the weight. For a second or two I was thinking about hitting it as heavy as possible after this one but then on the other hand, I was pretty much done after these lifts and I was almost in a hurry. Just had the time to sneak in some front squats. Took two sets to warm-up after the clean and jerk session. First one with just 60kg and the second one @ 90kg. Then jumped right to 110kg. I had decided on the weights beforehand. It was a great surprise the squats felt lighter than I had anticipated. Really, I'm telling you, those were lighter than before. That's somewhat encouraging! Maybe all the squatting is paying off. Here is the same thing I'm looking at: do the lifts look the same or is there a big variation between the reps / sets. To my eye it looks as good as I wanted. Deep squats, torso upright, elbows up, nothing bending to wrong directions. I'm pleased! We spent the entire day downtown walking around, eating and shopping, enjoying a free day in Helsinki. In the evening it was time to hit a metcon. I was thinking between an outdoor running workout in the backyard and a workout at home gym. Pauliina was into training too so we went to the gym late in the evening. This was a different type of workout. Not possible to push through unbroken so it was obvious my muscles would get fatigued in the course of the workout. I remember having big problems on high-rep hspu workouts when they are conducted exactly like this that you have a whole bunch of reps to be done consecutively. 30 hspu in a row is a mountain of reps for me. I can do tens of them if they are done in sets of about 5-7 reps but having this many reps brings some issues because of the short recovery. I started by doing a set of 10. From there on I planned to hit 5's till the end. Okay, I got to 20 with that plan. Then it was two triples and then two doubles. Burpees were easier than I thought. Actually they were easier in all 3 sets. Didn't have any strategy on the deadlifts but to try complete a set of 10 reps on the first try. I got that and decided to push it forward in 10's. It was heavy towards the end but still manageable. I was happy to nail those deads in 3 sets. Power cleans definitely took the longest time. I did them in singles all the way. My plan with which I was able to stick till the end was to do 5 singles and then a break. This is pretty much the heaviest I've power cleaned so it's not a surprise it took an eternity. The hspu's and first set of burpees was around 4.30, deads + burpees was about 4.20 and power cleans + burpees took me around 10.30. This was a great workout, there's no doubt about it. It's kind of a chipper, a training method I've neglected. It would definitely be worth doing them every now and then, lots of reps per movement, not rounds or amrap but just chip away the designed repetitions as fast as possible. I call this a training day, two good sessions!